When faculty research leads to community impact, everyone benefits. Two grants provide strong examples of how research supported by external funding helps us fulfill our mission. A recent grant from the National Science Foundation will help SIU continue to enhance the teaching of STEM subjects to junior high and high school students in Southern Illinois and beyond. 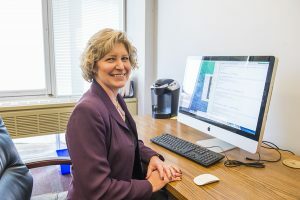 SIU faculty from multiple disciplines will work with selected teachers, who will conduct summer research projects and participate in other professional development activities. The newly trained “master teacher leaders” will in turn share their knowledge with other teachers, expanding the number of content experts in schools. The ultimate goal is to enhance science, technology, engineering and mathematics education and draw students into STEM fields. Karen Renzaglia, plant biology, is principal investigator on the grant. Her co-investigators include SIU experts in plant biology, zoology, teacher leadership, effective STEM pedagogy and sustainability and environmental science. A joint, three-year grant to SIU and the Springfield police department addresses gun violence through a “focused deterrence” program that can serve as a model for other communities. The goal is to connect with individuals who are past or potential gun offenders and help them find an alternative path. In June, following a year of research and planning by Tammy Kochel of SIU’s criminology and criminal justice faculty and her students, eight individuals participated in an interventional meeting and heard first-hand about the impact of gun violence. At the end of the meeting, they were given resources to assist them. “That might be getting a GED, help getting a job, daycare, housing, mental health, substance abuse — a whole range of possible services,” according to Dr. Kochel. Both of these projects improve our communities through the creation and exchange of knowledge – helping us fulfill the promise of our mission statement. These are just two examples of the outstanding work our faculty members undertake every day on behalf of Southern Illinois.